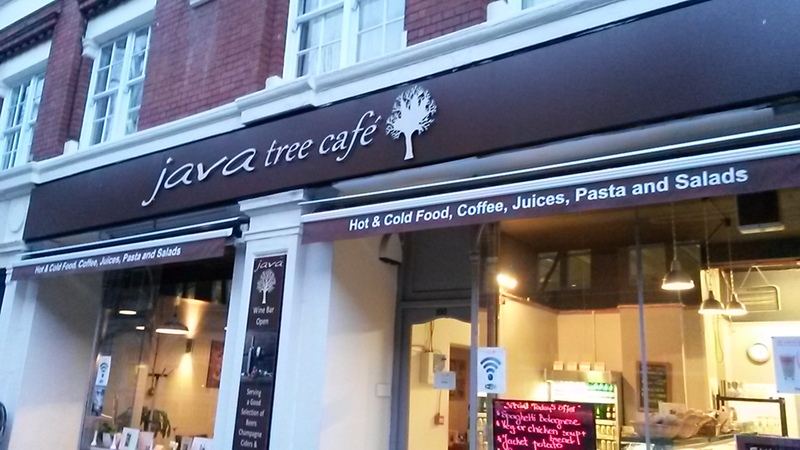 Set among the side streets across from King’s Cross station sits Java Tree Café. This area has been neglected by the current regeneration yet is quite a nice spot full of old buildings and small side streets. However, many of the businesses and hotels appear to have been here since the 70s and Java Café, therefore, fits right in. This is your standard airport quality coffee but without the hassle of going to the airport. A large, fairly bland, chocolate covered cappuccino. Not offensive and it did taste of coffee instead of milk. Also, they do give you the opportunity to add an extra shot. Java Tree though is a café that serves coffee instead of being, like so many new ones, a café that is about coffee. Again, bringing that airport café feel to the outside world. It was fairly quiet, with Lionel Ritchie pumping through the stereo and the big screen TV showing whatever was on ITV at the time. 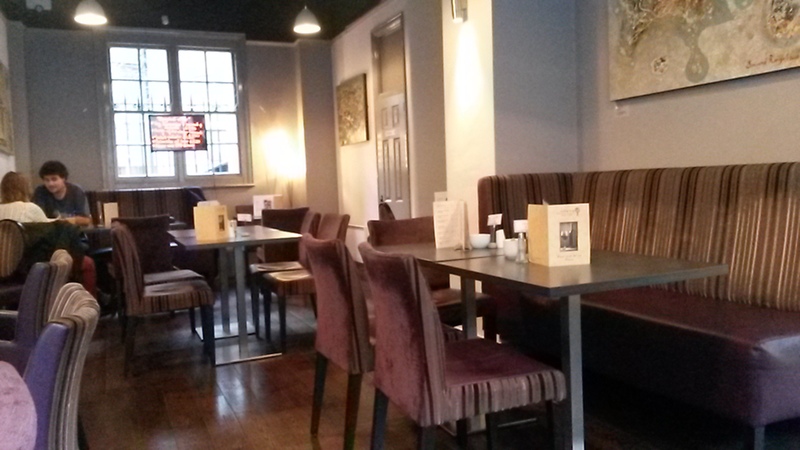 It did have comfy seating, decent lighting and a relaxed feel, so if you wanted to find a really quiet spot then this would be perfect. However, it felt like it had been cutting edge in the early 90s and the owner had stuck with it since. Typical café fare with, oddly, Mediterranean inspired food (considering its called Java Tree you’d maybe expect some Asian food). 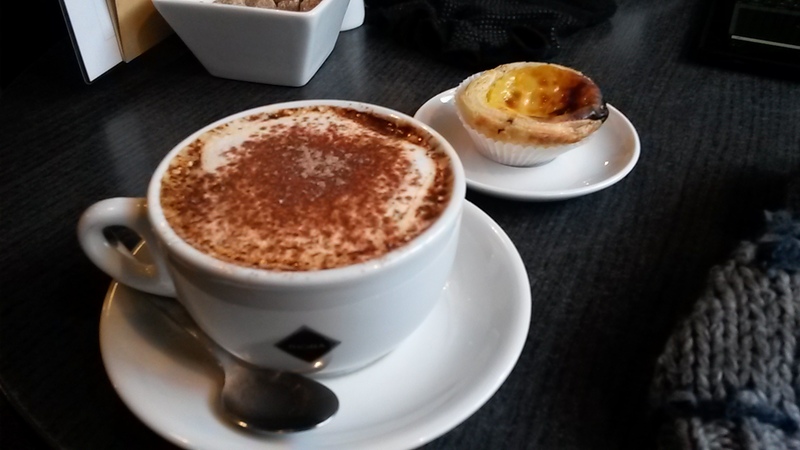 It’s all very cheap and the Portuguese custard tart I had with my drink was excellent. However, the specials, written with fluorescent pens on a backlit piece of glass, were uninspired. Friendly, quick and to the point. The place was clean, the coffee came quick and there was always a smile. Despite its seeming lack of ambition elsewhere, it was displaying some pretty expensive art for sale. And it wasn’t too bad. Not my cup of tea but interesting. Though I doubt whether anyone who would drink in there would be willing to spend £2000 on a picture. But I may be wrong. My search for an actual Javanese style café goes on. Whether, when the regeneration of King’s Cross is complete, this café will still be there remains to be seen. However, I feel there’s still a place for this type of café, especially when you’re looking for somewhere to take your Gran.